The latest updates to the MyTeleMed app include features such as Secure Chat and Visual Improvements. 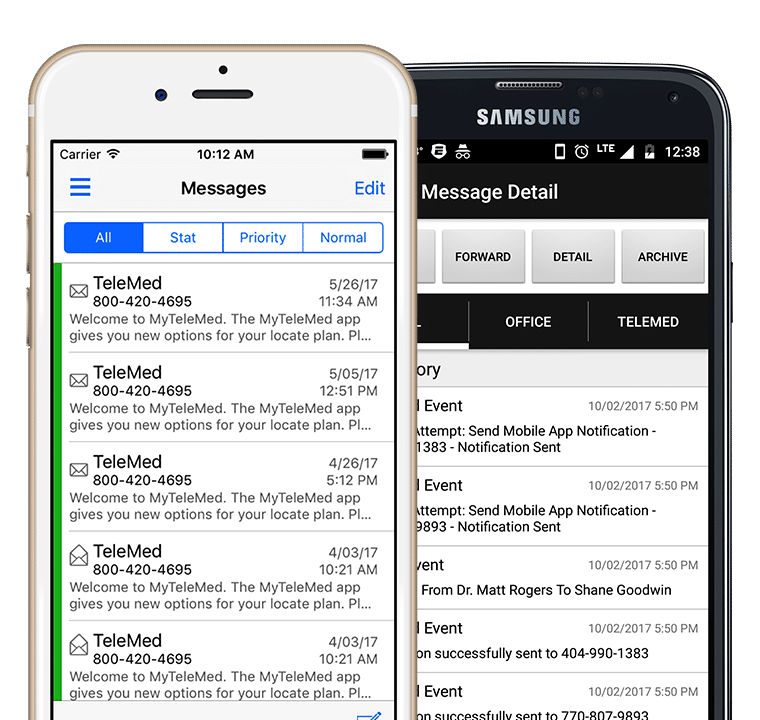 Learn more about the most current updates to our medical answering service app for iOS and Android devices below. Minor design update to side navigation. Preferred Account layout has been updated and added to Settings. Password rules have been updated along with a way to change your password in Settings. A new Sent Message module has been added. A new Chat Message module named Secure Chat has been added. Overall design updates to bring the app into today’s standards. The navigation (side drawer and top app bar) has been updated throughout the app to be seamless and in line with Android standards. The menu button to open the side drawer has been changed to Android’s standard menu icon, back buttons show up and work as they’re supposed to, other app bar buttons are the proper size, etc. The Settings screens has been rebuilt from the ground up according to Android standards. The On Call Schedule screen has been improved to look like the iOS version. The Messages, Sent Messages, and Archives screens have been refreshed with both visual and performance improvements. On the Message Detail screen, the message’s details now scroll with the comments (like the iOS version) to avoid a very real scenario that happened when the message’s text was long. A new Secure Chat module has been added. Behind the scenes, the app’s code was completely reorganized. As a result the new versions should be less error-prone and easier to maintain. With the latest Apple Watch (Series 3), you can stay connected to the MyTeleMed app and answer calls from your watch when you’re away from your phone!